Sterling silver is the most requested metal for specific pieces like earrings and shawl pins, and is one of the most popular metals for my delicate necklace designs incorporating stones and recycled pearls. Unlike copper or bronze, it is less forgiving and carries with it a certain responsibility as a precious metal. Silver has long been imbued with magical qualities– aiding in warding, healing and liminal divination. With correspondences to the moon and the element of water, it is a metal I have enjoyed wearing as almost an extension of myself. Increasingly I have moved into this kind of jewellery that the wearer can enjoy daily, that almost becomes part of the self. 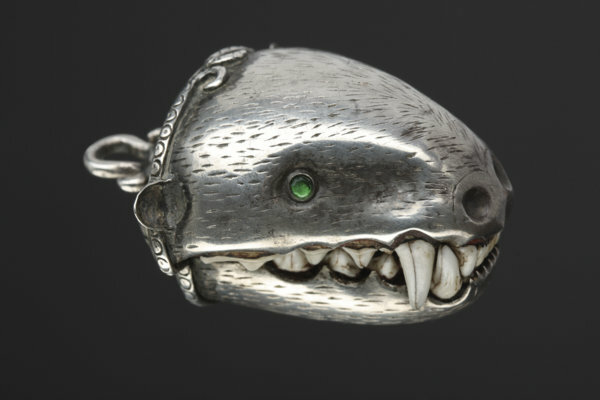 You can find such peices in the Feral Sterling Collection. All my sterling pieces are hallmarked at the Edinburgh Assay Office, which has a long and fascinating history, hallmarking the work of silversmiths since the 15th century. I am proud to be working as part of this tradition. The Edinburgh Assay Office Mark. The Hallmark consists of my Makers Mark, the metal purity– which for my sterling pieces is 925, the lion rampant which is a symbol of Scottish silver and the mark of the Assay office itself, which is a castle. Lastly the letter denotes the year of the piece in the Assay Office dating system. The hallmark is a guarantee of precious metal purity and dates back to 1457 when the law was passed making the mark a requirement, and the castle hallmark dates to 1485. Much of the work I make is delicate and the hallmark is now applied on such small work with a laser, meaning you will need a jeweller’s loupe to clearly see it on smaller pieces. The photo on the right taken with a macro lens shows a the hallmark on a section of the back of a shawl pin. 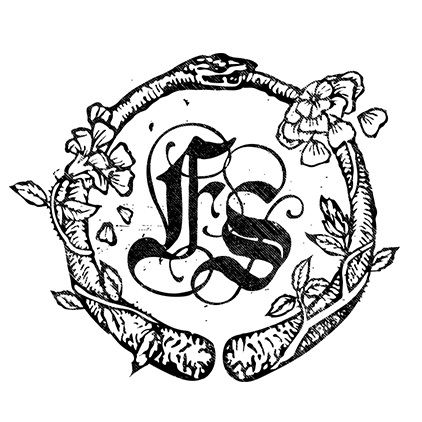 Meet the new logo for Feral Strumpet, created by Alaura of Desnoir. After seeing the work she did for Black Moon Cosmetics, among other brands, I knew she was the woman for the job! After giving Alaura some ideas she was able to create this design which is medieval, gothic and also based on some of my best selling designs, the Nahusha hoops and Pennanular brooches as well as the Worry Ring. 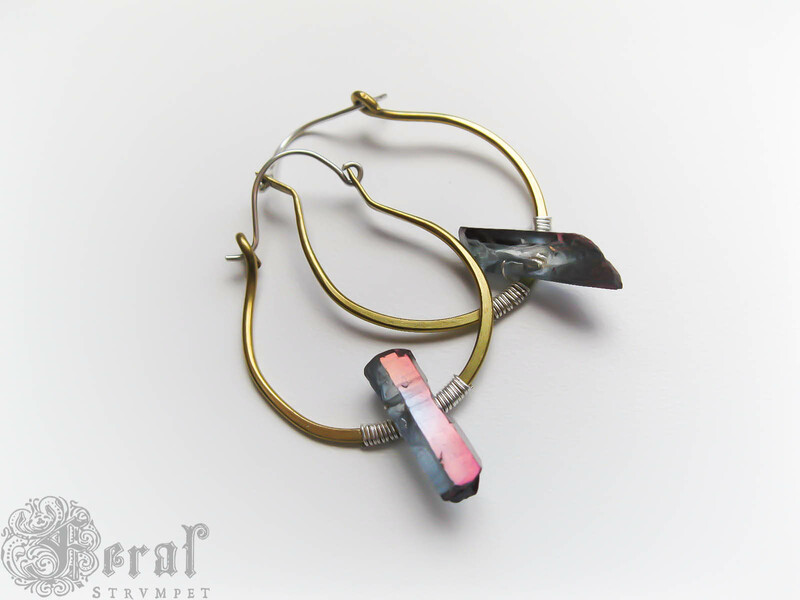 She created the perfect design on the first version– I love it and feel it encapsulates the mysterious, delicate and beautiful world of Feral Strumpet that I have created. Alaura was a joy to work with and I recommend her highly. 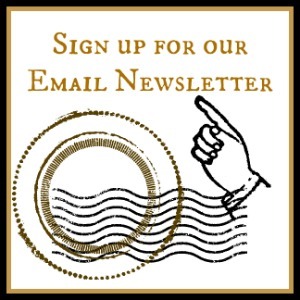 While you are perusing Feralsturmpet.co.uk‘s new look, take a peek at the mighty shop update in the What’s New Collection! Magical objects said to belong to Dee, now housed together in the British Museum. Today is the birthday of Doctor Dee, court magician and mathemetician to Queen Elizabeth the I. My ambivalent fascination with Doctor Dee can be traced back to a single object– his scrying mirror in the cabinet of curiousities that is the Enlightenment Hall of the British Museum. During my monthly pilgrimages to the British Museum, I would always pay a visit to this most seductive of objects, desplayed beside a crystal ball and a pair of Enochian tablets– tools to decode the angelic language dee and Edward Kelley thought would be the key to communing with angels. His angelic conversations were always conducted with Christian piety, perhaps sparing him from the witch trials rampant at the time. He had hoped the angels could help heal the very real spiritual rift left from the dissolution of the Catholic church and the new Church of England. This is an x-ray of a painting of John Dee performing an experiment in front of Elizabeth I. The x-ray reveals a circle of skulls at his feet. We are left to wonder just what kind of magician was Dr. Dee? The newly revealed circle of skulls at his feet in the painting above– and that they were once painted over– speaks to this ambivalence. He was perhaps foremost a librarian– his library was the largest in England. After six years abroad, advising monarchs in Central Europe, Dee returned to London to find his home and library vandalised and ransacked. He was an imperialist, one of the early architects of the colonisation of America. Perhaps its no wonder that this power object, his “devil’s mirror” was Aztec obsidian imported to England in the early 1500s. The coloniser and colonised are wedded in the deepest ways, but I digress. Was the mirror even Dee’s? We only have Horace Walpole’s word on this. Fiction is often closer to the truth, and the stories we have inherited have already given shape to a shifting past. In the iconic portrait of Dr. Dee, he seems to be contained in a round wonder cabinet, his black cap resembling his “devil’s mirror”, a black nimbus framing his head. His pointed beard, like the finger of a planchette aimed into the dark, asks us to decipher some secret at his heart. Terry Pratchett, that true bard of the English soul, got it right– here we have a wizard of the Unseen University– and I a Granny Weatherwax wanna be, staring into the dark glass. Dwarfs get a bad rap– chthonic whistling hoarders, pathologically sneezing, sleeping or grumpy, these homunculi have never been able to compete with the glamour of elves. But what if I told you they really were elves? Hot dwarf or dark elf? It’s semantics–my point is made. Aidan Turner as a Kili the Dwarf from the Hobbit. When I first started cold forging, it was a magical process. As I have become more masterful, something else guides my hands, something older and wiser than myself, but who or what is helping me? According to Norse myth, dwarfs were born from the maggots swarming the dead body of Ymir, the primordial giant birthed from melting ice in the great void. Their beginnings were less than auspicious, it’s true. Dwarves have made some of the most powerful artifacts of Norse legend– Thor’s hammer, Freya’s necklace, the magic ring Draupir, the fetter to bind the apocalytpic wolf Fenrir and Odin’s spear as well as the replacement for Siv’s golden hair. GOALS. Total aside, but what of the Dwarf women? Read this wonderful post on male-bias gender neutrality and dwarfs up at Lady Geek Girl. The delicacy of my wire work, the fluidity of the copper and vine-like qualities of the metal come from hands that have begun to ache with arthritis, that are cut and calloused. It is a common theme in mythology that the smiths that create great beauty are wounded, misshapen, as if their bodies are a foil to their creations. I’m no different. But in the words of the Völva in the Völuspá, what of the elves? In Norse mythology, dwarfs live in Nidvallir, or Dark Fields, which is also called Svartalhiem or dark-elf-land. Dwarfs are dark elves. I have named my recent collection after their ancestor Sindri. Adornment was a powerful force in Norse myth, and beauty forged of metal and stone was an essential part of Old Norse life. The power to make such things was seen as magical, something which originated with the beginnings of the universe. When the gods made their first temples they also made forges alongside them. They smelted ore and created tongs and tools for smithing before even creating human beings. The dark elves are the keepers of these first secrets, and they have shared them with me. My alter-ego. Jewellery vendor dwarf from the Hobbit film. The Kitchen Witch’s Pentagram Ring. Herein you will find a whimsical list of my current obsessions, design stand-bys and inspirations, tidily alphabetised. Amulet-a protective talisman or charm which can take many wearable forms, such as my Kitchen Witch’s Pentagram Ring. Much of what I make is charged with this impulse beyond decoration, a connection to a force larger than ourselves. Brooch– a pin used to keep clothing closed, the fibula or pennanular style is one of the oldest forms of jewellery. My popular Anglo Saxon brooch is inspired by archeological designs found in Yorkshire. I cold forge this style copper as well as bronze, in various sizes for different weights of hand-knits and hand woven textiles. This has become one of my best-loved designs. Charivari– Bavarian hunting trophies are my current obsession. Charivari also means “rough music” in French, we’ll leave the connection here to the poets among you. Worn over the trouser section of leiderhosen, they are uncanny relics: bones, teeth and horns encased in silver. I initially saw numerous Charivari when traveling around Bavaria stopping in at antique dealers– but I had no idea what they were. The seemed to be jewels from the Brothers Grimm, the original fairy tales. For more on Charivari I encourage you to read Robert Seitz’s brilliant blog post about them. Dog Collar— a short wide necklace worn like a choker. Though this is a term used by pearl sellers, I do remember wearing actual dog collars when I was younger, before such things were widely available in High Street shops, back when punk was completely DIY. Eyeglass Chain–Remember the monocle? Ok, maybe you don’t, but as my eyesight begins to require more elaborate correction, I’m seeing the wisdom in the monacle. You could hold it with your eye muscles and then just tuck it into a pocket, never losing it because it would be connected to a chain. And you’d look positively spiffy, too. I thought to myself, how can I reproduce this spiffiness, but for glasses? 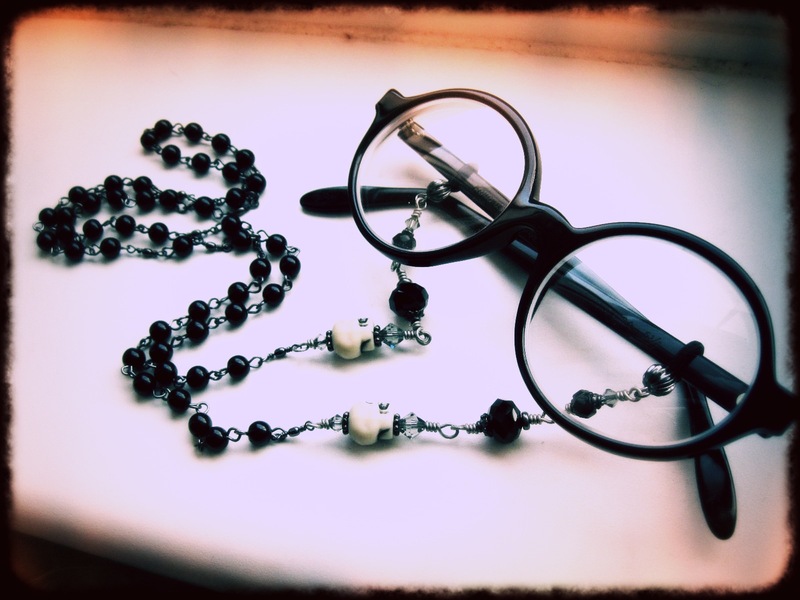 I decided to use old skool goth style rosary chains and different accents– a kind of morbid librarian chic which is also much more practical than the monocle. French or Fishhook Ear Wires— my most popular ear wire. I hand forge my own in my “little cobra” shape, but also use hypoallergenic niobium ear wires for those with extra sensitve ears. Girandole— a chandelier style earring with three ornaments, from the French word for a elaborate branched candlestick or rotating display of fireworks. If only all words for jewellery were as pretty. 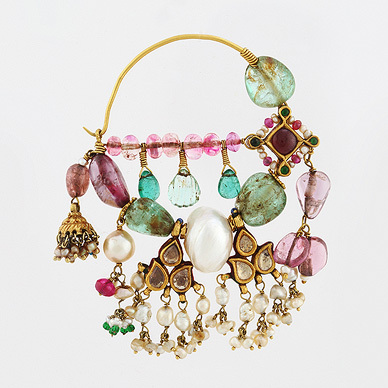 Hoops– The simplest and most iconic earring shape– the earring of choice for gypsies, pirates and William Shakespeare. I love to play with this form in my cold-forged designs. I’m fascinated by the way this simple halo/oroborous framing the face can completely change one’s countenance. Inclusion-any deposit, mineral or otherwise, inside a stone. I love to work with stones that have inclusions. Though with some stones this is said to mar or devalue them, I am fascniated by tourmalated quartz and moss agate. Stones are little void-worlds that suggest miniature fairy landscapes, unearthly writings and signs. Debra Baxter’s Crystal Brass Knuckles. Knuckle Duster– Brass knuckles, knucks, knucklebusters were incorporated into pistols and knives in the early 20th century, and most recetly have had a resurgence in jewellery design. Known in Canada as “brass monkeys”, in France and Mexico as “American fist”, In Brazil they are called “English punch” and in Russia they are “head-breakers”. I often have fantasies about making a knuckle duster ring like Debra Baxter’s “Devil Horn Crystal Brass Knuckles”. Leverback Ear Wires- a favourite ear wire for my Victorian-inspired designs, these feature a lever clasp that keeps the earring safely in place. I use high quality brass plated leverbacks for many of my designs, and some feature more modern, simplified versions of the leverback design in sterling silver. Matinee Necklace– this is the term used for a necklace that is 20-24″ long, and this is my second most popular necklace length. (Pendant length, 18-19″ being most popular). I couldn’t find out why exactly it’s called matinee, but I like to imagine it’s a hold over from an earlier era when time-of-day and types of outings dictated outfits– meaning this “afternoon” length was perhaps more casual than a dramatic choker or opera-length chain worn with evening wear. Ceremonial Nath on Saffron Art. Nath– an elaborate nose ring with pearls on the outside, worn by Indian women for ceremonial purposes. I’m inspired by the design and structure of these nose rings, how they hang and their simple wire closures. They have informed my earring designs. Opera Length– a term used for a long necklace length, 28-34 inches. This is the length of many of my rosary-style necklaces. (Opera attendance while wearing these necklaces is optional but recommended). Patina– this term is used to denote a change the colour of a metal, often due to age or through different chemical processes. I love to patina my copper pieces quite heavily. I use sulphur and warm water to patina my work and seal in the patina with museum grade Renaissance Wax. The whole process is quite alchemical to me. I have come to enjoy the smell of brimstone. (Insert evil laugh). Queen of Elphame-My number one creative influence, a favourite driving idea of my design it is imagining adornments of the Fairy Queen, called the Queen of Elphame in Northern England in Scotland. This particular moniker comes from the witch trial transcripts, adding for me a kind of bitter relevance to my Pagan-based, witchy designs. Robert Graves embraced this spelling and the Queen of Elphame appears in many folk ballads where she is the lover and teacher of Thomas the Rhymer. Rope chain– the longest of chains, measuring 45″ or more, designed to be doubled, trebled. I haven’t made such a chain– yet! Though I do dream of making a fine rope necklace of sterling silver and garnet links. Maybe this year. S Clasp- this is my favourite clasp style. I forge my own in sterling silver, copper, brass or bronze, depending on the design. Toggle Clasp– A bar and hoop style clasp. It is my second favourite clasp design as it is easy to use and sturdy and can often be incorporated as a decorative element. My Briar Rose Necklace uses a blackened pewter toggle clasp as a kind of pendant bail. Unakite— one of my favourite stones to work with, this green and pink semi-precious stone is from the Unakas Mountains. It’s such a warm, happy stone seeming to reverberate perfectly with the heart chakra. Vulcanite— or Ebonite is an early form of hard rubber which served as substitute for ebony wood and has a carved jet or bog-wood appearance. In my many gleanings I have come across antique rosaries and beads made of a mysterious black substance– not wood, nor glass. Perhaps they are vulcanite. Wire Wrapping— This is the use of wire, softened by the hand and then work-hardened through hammering, tumbling or other methods, to make infinite jewellery shapes. This method of using wire to make jewellery is ancient and though initially simple, doing it well is most definitely an art. I keep my wire work minimal and sturdy, or, in the case of my Tree of Life designs, elaborate and highly detailed. Xilion– this is the fancy term used by Swarovski to denote their signature bicone cut providing optimal light refraction. As far as made up words go, it’s a good one, and as far as glass beads go, their shiny pleases the magpie in me to no end. If there are glass crystals in my designs they are almost always Swarovski. Y-Necklace. This is a rosary style necklace with a chain drop in the centre, attached often by a bead, stone or filigree connector. This graceful and flattering design is a favourite style in my shop and also the style I most love to wear. Zombie Gnomes— one of my very first earring designs. Isn’t it the way, to get stuck at Z? Well, these are the Z’s of strumpetry! I don’t think I have the stamina to do a zombie rewrite of the Will Huygen Gnomes coffee table book from the 1970s, but someone should. In the mean time, these earrings will have to do. The end of the year is exciting. We gather together against the cold, thinking of the possibilities of the new year. 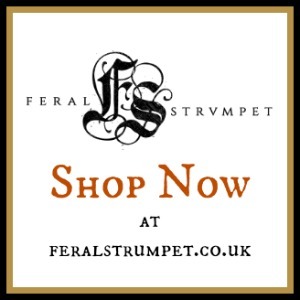 The Yule gift I’ve given my business, (because, let’s face it, Feral Strumpet feels like a person to me now) is a new online shop. 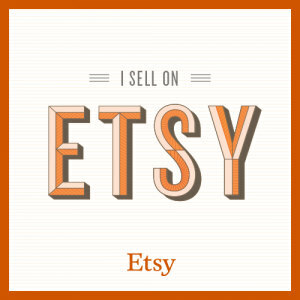 It’s easier for my customers to use, it’s still independent and best of all, it’s pretty. I can now accept credit cards, as well as the old, tried and true Paypal as well as bank transfers if you are in the UK. Also you can see prices in your country’s currency by using the drop down menu at the top of the store page. The shop is also integrated with this blog. What a better way to celebrate a new shop than with a new collection. The Crystal Nimbus Collection is based on a hand-forged design which grew out of my incredibly popular Anglo Saxon pennanular brooch. A simple, endless circle inspired by the moon, ouroboros and archeological finds. This penannular brooch is based on an Anglo Saxon design discovered in North Yorkshire. This brooch was featured in the Easy KnitnSweater Jacket Tutorial from Very Pink Knits. These new crystal necklaces were born out of that design, of which I have now made many. I recently read a fascinating article on crystallography. The otherworldly voids and stark, icy structures inspired me. Rather than form a holiday collection I started to think about light and shape. The forging process itself shaped these. The raw crystals capture the winter solstice spirit so well– they are a light in the darkness. The nimbus shape came from the anglo saxon brooch but also my obsession with medieval iconography and the fine gilded halos of saints– a simple mark denoting grace. Highlights of the collection are below. Each is one of a kind and I hope to add more pieces as the season darkens.